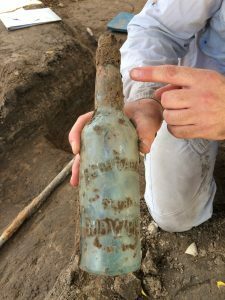 Aside from providing information about the ethnic communities in early Houston, finds from the archeological dig like this Budweiser bottle, point to habits of Frost Town residents. Houston is a dynamic city with an amazing history. The stories written about its past, however, generally focus on the important people and big events that transformed the wilderness along Buffalo Bayou into a modern metropolis. The Allen brothers, steamship and railroad commerce, cotton and petroleum production, and space exploration are a few of the important chapters that define Houston and its contributions to U.S. and world history, but these stories view history from a top-down perspective. Alternative views that look at Houston history from a bottom-up perspective are equally important, though harder to find. Examining history from various perspectives, including those of the working-class people who helped build and shape the city, requires plowing through dusty archives and online databases, compiling information from seldom-used public records, and even digging into the ground beneath the city streets. 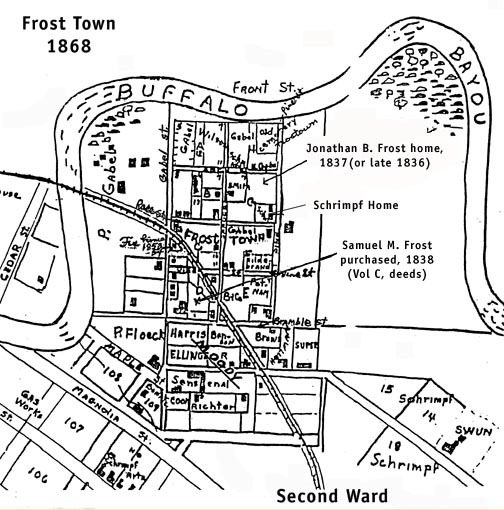 This early map outlines where Frost Town namesake, Jonathan B. Frost and others lived in what began as a ten acre plot of land north of Downtown. 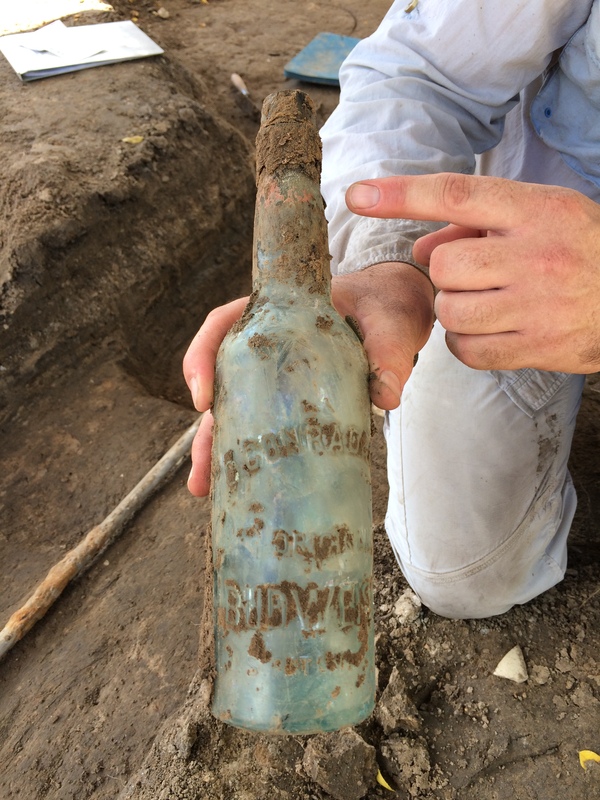 Through excavating the site, archeologists hope to write a history for early Houstonians. This footage gives us a current view of the digs progress. In further detail, this short documentary highlights the evolution of Frost Town from its German Immigrant beginnings to it’s status as “El Alacran” during its Hispanic-American settlement of the mid 20th century. While observing features and figures such as the Settlement House, Rusk Elementary, and Felix Fraga, this film discusses Frost Town’s demise and the importance of it’s preservation in understanding early Houston.